Our belts last 2 to 5 years, 50% longer than rubber belts under identical conditions. Multi-purpose belts, work under adverse conditions. High mechanical resistance to tear and abrasion. Excellent chemical resistance to mineral oils, soaps, solvents and components of organic origin. esbelt belts last between 2 to 5 years which means they last 50% longer than rubber belts. Light but mechanically solid structure. Lower energy consumption during the sorting process. Increase production thanks to the reduction of interruptions during the waste sorting process. Esbelt has a wide range of PVC and PU belts available for the recovery, transfer, classification and separation of all types of wastes. At the reception or primary conveying of waste material, ESPOT or DRAGO belts are used depending on the type of materials to classify. Both ESPOT and DRAGO belts meet the ISO 284 anti-static normative, they have flexible weft which allows them to work on trough conveyors. They also have excellent resistance to tear. Our ESPOT belts are food grade according to FDA and EU regulations and are resistant to vegetable and animal oils and fats. Our Drago belts are resistant to mineral oils and greases. In sorting zones where different materials (scrap, thermal materials paper, carton, plastic) are separated, BREDA and KERAM belts are used. In the sorting and rejection processes, there is a large number of conveyors working at different levels. It is necessary to have belts that can work on small pulley diameters to meet the diverse conveyor designs and requirements. 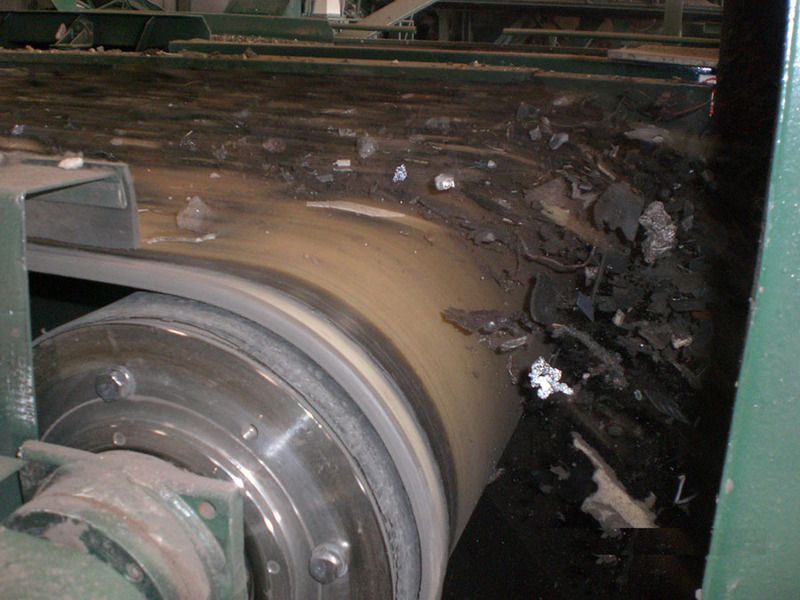 Reinforced profiles with high resistance to impacts are used on inclined conveyors at the reception of waste material as well as at the later part of the process. The profiles are welded by high frequency and maintain a perfect bond with the belt. Belts in waste sorting & treatment plants. Excellent resistance to tear, abrasion and chemicals. Multi-use belts for working in adverse conditions.